Topical use calms, heals wounds and is anti-inflammatory. This oil can be used on diaper rash or on future mother's belly. 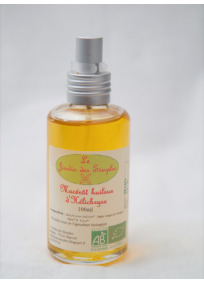 "Anti-ageing" oil against wrinkled, age spots, rosacea... But also suitable against cracks, acne and as an after-sun care. Offering many properties and a sweet scent of Rose to your skin.